Before you spend hundreds – if not thousands – of dollars on a cellulite treatment, take the time to think about whether the method is based on a sound rationale and suits your individual circumstances. There are many well-intentioned sales people who have believe the marketing hype on the product that they are pushing and are very convincing when it comes to selling. Unfortunately, many of the cellulite removal methods that are available don t work for everyone and sometimes there are cheaper options that you can try. Here is a list of treatments that have been shown to work. Cellulite cream: for mild to moderate cellulite lotion can be an effective method. It is best to spend a little extra on the better quality creams to ensure that you are getting the best ingredients. You will need to rub the lotion into the skin at least daily. As with most non-invasive treatments you will need to continue applying the cream to ensure that the cellulite doesn't return. Exercise: one of the most effective anti-cellulite treatments is exercise. There are two approaches you can take. The first is to do plenty of cardio in order to burn away the fat from the legs and thighs. Some women don t find this approach very effective and still have serious cellulite even after months of working out. For these women, the alternative approach is to focus almost exclusively on weight lifting to build lean muscle. The increase in muscle will make the legs and thighs slimmer and more toned, stretching the skin to reduce the bumps and lumps. Diet: cellulite is caused by a built up of toxins in the body. Many of these toxins come from the food we eat, especially if you have a diet high in fat and sugar. Changing your diet to one filled with fresh fruit and vegetables is an easy way to get rid of cellulite. Massage: there are machines used in beauty spas that massage the skin and fat to smooth out the lumpy fat and skin. 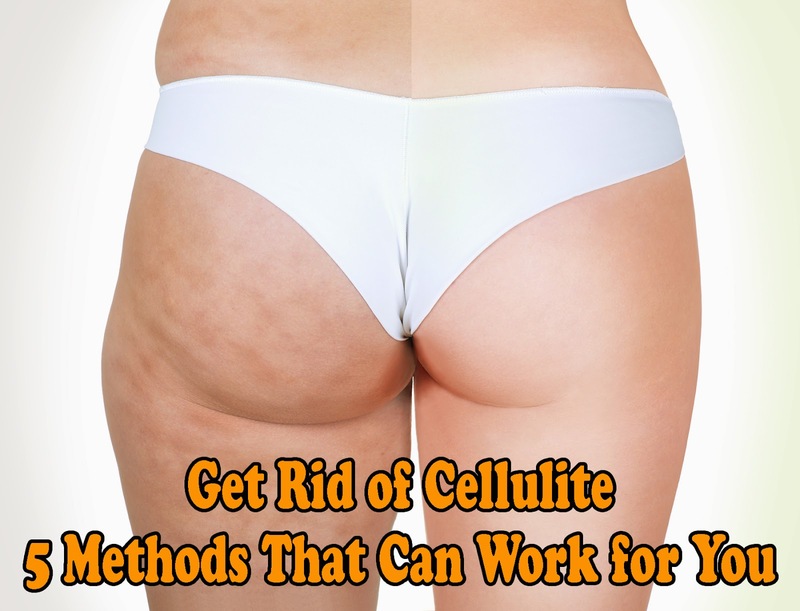 This is a popular method and is great for moderate to serious cellulite. One of the downsides is the cost with most treatments costing between $60 to $100. Most women will require two to three treatments per week and then maintenance sessions after a few months. Mesotherapy: this is a controversial cellulite removal method but many women swear by it. The mesotherapy method requires the injections of homeopathic liquid into the cellulite to assist the body in fat removal and to increase blood flow. Recent controversy has centered on doctors claims that this treatment is ineffective and potentially dangerous. You should do your own research into this treatment before you decide on whether it is right for you. A combination of treatments can make cellulite reduction more effective. It is generally accepted that a regime of cream, massage and exercise is the best combination. Each method targets another part of the cellulite s symptoms and this leads to quicker results. It is important that you use the best quality cream you can afford, as many sessions on the beauty spa massage machines and the right exercise that suits your body.